The number of historical markers in Zeeland recognized by the State of Michigan is about to double from two to four. 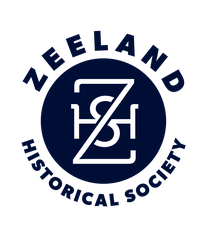 After four years of research and requests, the Zeeland Historical Society has secured two new markers for the city — one for the Veneklasen brickyard and another commemorating the poultry industry that helped put Zeeland on the map eight decades ago. Dubbed “Bricks and Chicks,” the two markers will be unveiled in back-to-back ceremonies beginning at 6:30 p.m. Thursday. The first marker to be unveiled is near the corner of 104th Avenue and Paw Paw Drive, at the base of the pedestrian bridge, on the former site of the Veneklasen brickyard. The second marker, commemorating the poultry industry, is in VandeLuyster Square, at the corner of Church Street and Central Avenue. Once the markers were approved, Karsten contacted Sewah Studios in Marietta, Ohio, which makes all the markers for Michigan historical sites. The markers cost $3,500 each and were delivered in June. City workers erected them about two weeks ago but covered them, as they’ll remain until the ceremonies. Karsten said most of the money for the markers was raised through private donations.